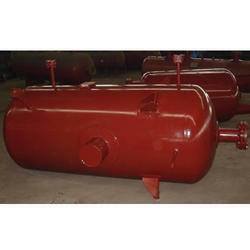 Being a noteworthy enterprise of this industry, we are offering a wide spectrum of Air Ammonia Receivers. - One central vessel (accumulator) for all evaporators on a common suction system. Provides liquid slop-over protection for system compressor(s). Provides increased, efficient utilization of evaporator's internal coil surface for heat transfer. - Liquid refrigerant feed to the evaporator(s) is insensitive to floating head pressure. We are engaged in providing a wide assortment of Ammonia Receiver. We have an exclusive range of Ammonia Receiver offering to our clients. 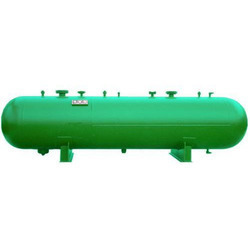 This Ammonia Receiver is manufactured by making use of high grade material. We offer these receivers in different standards sizes as per the requirements of our clients.